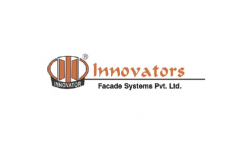 Business description - Incorporated in 1999, Innovators Façade Systems is engaged in designing, engineering, fabrication and installation of façade systems. The company offers total solutions to its customers with respect to their requirement of façade installation in complex projects. The company specializes in technically demanding facades. Its manufacturing facility is situated at Wada, Maharashtra and is spread over 125,000 square feet. The company executes end to end fabrication of its products i.e. from designing of facades to dispatching. Its product basket ranges from glazing/curtain walls, high end doors & windows, skylights, canopies, frameless glazing, MS structures, stone cladding, metal cladding, roofing, & others. The company has a widespread presence and is executing projects in various states such as Maharashtra, Goa, Haryana, Karnataka, Tamil Nadu, Uttar Pradesh and West Bengal. Innovators Facade IPO allotment status is now available on Link Intime's website. Click on this link to get allotment status. Guys, take care with this. Don’t go for just listing gains, it will be a great performer. This is a great company, Vijay Kedia has invested in it!! !